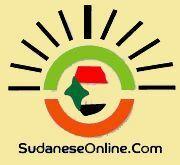 Khartoum, Nov. 8 (SUNA) - The Foreign Minister, Prof. Ibrahim Ghandour, will head Sudan delegation for the meetings of the Arab and South American Foreign Ministers in Riyadh, Saudi Arabia, prior to the Arab - South American summit in Saudi Arabia during November 10 - 11. The summit will discuss the cooperation between the Arab and Latin American cooperation in the political, economic, social and cultural fields. In a press statement, the Director of the Two Americas at the Arab League, Ambassador Ibrahim Mohi-Eddin, said the summit would issue Riyadh Declaration, besides the final communique which will include the important topics that are included in the summit's agenda.